This magical fantasy novel follows an apprentice bookbinder who learns how to help people erase painful memories by embedding them into the covers of books. When he uncovers a book with his own name on it, he sets about finding out the origins of his dark secret. You’ll struggle to put down this cat-and-mouse thriller about a police lieutenant running from the mob boss he used to protect. Set against the backdrop of John F Kennedy’s assassination, it’s a fascinating glimpse into mob life in 1960s America. Relive one of the greatest search-and-rescue stories in living memory. 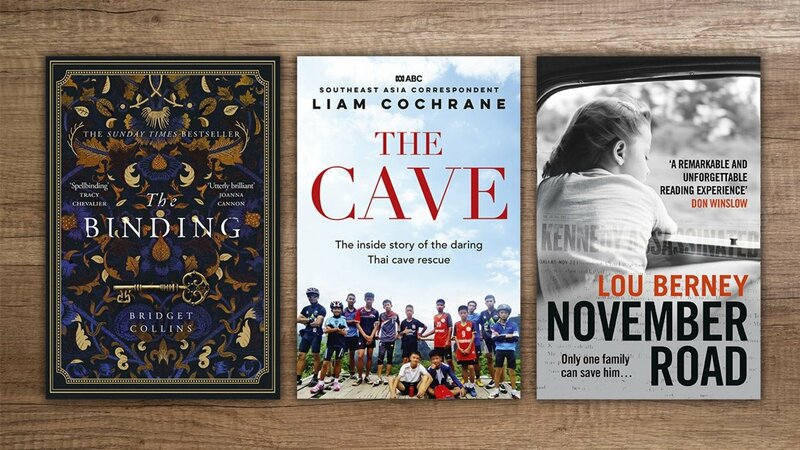 ABC foreign correspondent Liam Cochrane tells the incredible story of the 12 boys from the Wild Boars soccer club, their coach, and the heroes who rescued them from a flooded cave in Thailand. Limited one redemption per member.